Euclid's Elements is by far the most famous mathematical work of classical antiquity, and also has the distinction of being the world's oldest continuously used mathematical textbook. The main subjects of the work are geometry, proportion, and number theory. 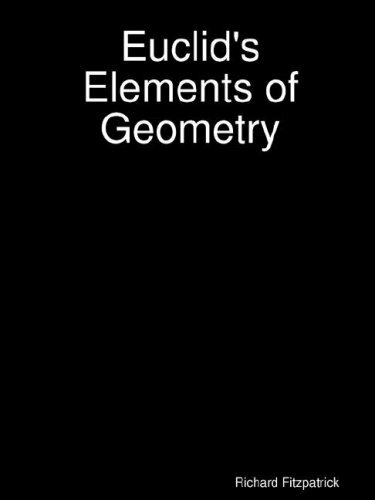 The book does not assume any previous knowledge of the Conic Sections, which are here treated on the basis of the definition of them as the curves of projection of a circle. Many of the properties of the Conic Sections are proved quite simply.